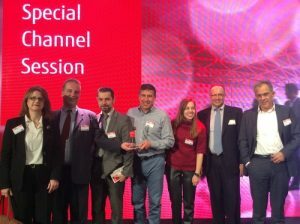 Heraklion’s new Data Center receives Fujitsu Innovation Award. 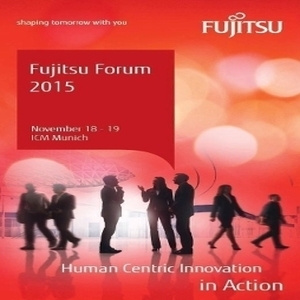 Fujitsu during the Fujitsu forum 2015 in Munich named “Human centric Innovation in Action”, awarded its partners who fulfilled projects of innovative nature by using Fujitsu technologies, products and solutions with the “Select Innovation Award”. One of the three nominated projects worldwide was the new Heraklion Municipality Datacenter which incorporated Fujitsu products, Open source Software Openstack and Kernel Company’s Cloud Web Maker software. Heraklion’s municipality’s cooperation with Kernel which is a Heraklion Crete based company nurtured a locally based innovative environment. Heraklion municipality has as a goal to utilize information technology solutions as part of the ”Heraklion Smartcity” framework in order to achieve high quality services for our fellow citizens. The international recognition Heraklion has received as a “Smart city” motivates and engages the Municipality of Heraklion to design, implement and support all those future projects that will prepare Heraklion for all future technological challenges that may arise. A special mention should be made for the staff of the Heraklion Municipality for its contribution to the project through the difficult times the Country is facing .The staff succeed to produce innovative services by using the infrastructure the Municipality develops and points to the future with a new perspective that will transform the way Municipalities around the world operate.